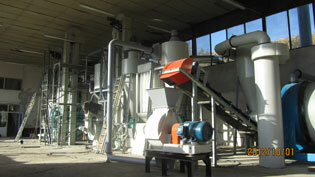 Located in Gabrovo, Bulgaria, the Sawdust Pellet Complete Plant Project of 1 Ton/H Taking Beech as Raw Material starts along with wood chipping, and then the material will be processed in sequence via course crushing, drying, fine pulverizing, pelleting, cooling, sifting and packing. 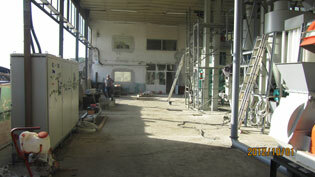 The production line is characteristic of high automation, compact design and delicate arrangement. 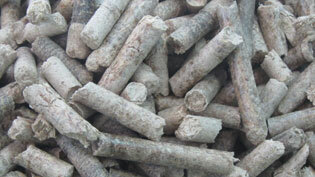 After pulverized twice, raw material is easier to be extruded into pellets. 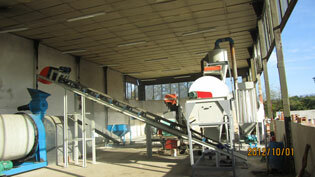 Within the line, pellet mill is driven by gear system for the convenience of operation and personnel safety. Apart from that, the connection of cooler and back-fed cyclone can facilitate reduction of pollution outstandingly, besides, the integration of cooler and vibrating sifter can as a whole save more floor space. Adopting mimicked computer system, the electronic scale also works together with the thermo-hemming machine for the benefit of efficiently and swiftly weighing and sealing packages.